There are so many interesting symbiotic relationships happening underwater that we thought we should come back with more on the subject. If you missed our first article, you can read it here. There we explained the different types of symbiosis and introduced you to two interesting pairs. This month, we decided to talk about two other symbiotic relationships. One between a giant and a tiny fish, and the other invisible to our human eyes. Being manta season, we couldn’t leave this one out. Here is another example of mutualism, where these little fishes get food while ridding the mantas of dead skin and parasites. The cleaner wrasses usually set up “shop” in a coral block, so the mantas can visit them. They swim around it with the mouth wide open and let the cleaners do their job. It is just like a spa or even a medical center, as the wrasses also keep the manta’s wounds clean, helping them to heal much faster. Fun fact, the female mantas seem to spend much more time in the cleaning stations than the male ones. Does it remind you of another animal species? Zoo…what??? We know, we know, that’s a difficult one to pronounce, but let us explain. Zooxanthellae is a brown-yellowish alga and we can definitely say it plays an essential part in the existence of coral reefs. These little algae find shelter in the coral polyp and start an interesting symbiotic relationship. The algae produce nutrients through photosynthesis, benefiting the host, which in turn expel a waste in the form of ammonium, a nutrient for the algae. 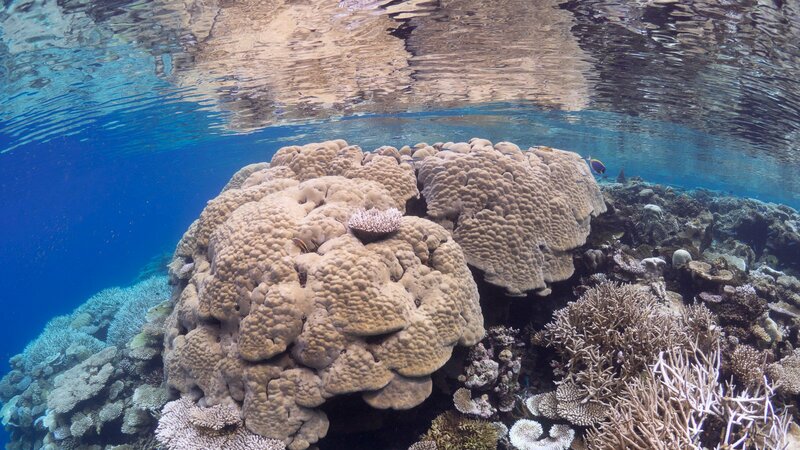 Keeping this chain of food supply within, the coral has access to more food, therefore growing faster. Coral bleaching has been a hot topic for many years now, but do you actually know what it is? The phenomenon is correlated to the symbiotic relationship above. 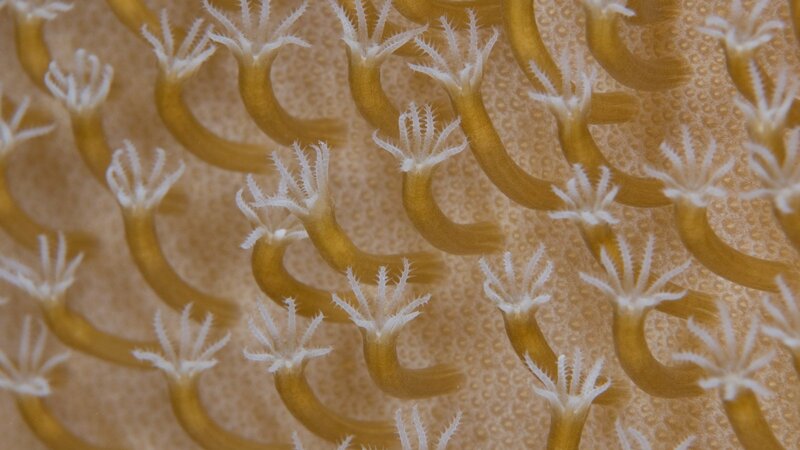 When the ocean gets too warm, the corals get stressed and expel the zooxanthellae, exposing its white skeleton. If the temperature quickly goes back to normal, the algae might come back, and the coral will slowly recover. A prolonged exposure to high temperature, might lead the coral to starvation, causing its death. Do you want to know what you can do to help? Here are some ideas most of us can easily implement in our daily routine. © 2019 Ocean Dimensions. All rights reserved.